Apple has stuck with 8MP cameras for a long time, but it looks like that could change with the iPhone 6S, as numerous rumours are now pointing to a 12MP snapper. The latest of these is from Feng.com, citing Japanese media reports, which claim the iPhone 6S will have a 12MP camera made by Sony and that interestingly it will use the company's RGBW technology, rather than using the more common RGB sensor design. That 'W' at the end refers to a white subpixel which helps it achieve greater low-light performance and according to the report it was this that Apple was waiting for before moving away from an 8MP sensor. Apparently the company had originally intended to use RGBW in the iPhone 6 and iPhone 6 Plus, but has spent the last year testing it, to make sure its implementation would meet quality standards. It makes sense that Apple would look for a way to improve its cameras' low-light capabilities before upping the megapixel size, as the current 8MP sensor uses fairly large pixels which let a lot of light in and Apple surely wouldn't want to shrink them if that negatively impacted its performance. 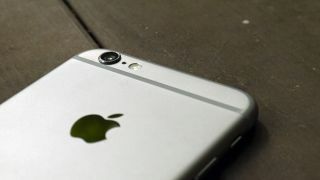 The report also mentions that the next iPhone's camera will have faster autofocus, though it doesn't explain how. We'd certainly take that bit with a pinch of salt then but with so many 12MP rumours it seems likely that we will get a megapixel boost and we now have a good idea of why Apple waited so long to do it. We may only have to wait until August to see the iPhone 6s / iPhone 7.